Today’s blog post comes with a little warning: this is going to be a bit of a heavy lift. I want to try to translate into layman’s terms some issues surrounding Title I funding and increased standardized testing. But before we dive into that, I want to touch on another equally important issue – how we interact with and perceive each other. Here in Nashville, we are currently struggling with a crisis created by Mayor Megan Barry’s marital infidelity. Everyday it seems like another shoe hits the floor and another newspaper article appears. I think we can all agree that the Mayor made some very bad decisions. Decisions that I’m sure she regrets. I think it’s fair game for us to take exception to those actions and be critical of them, but I do have an issue when people use those actions to try to dehumanize her. It’s not impossible to hate the actions and love the person. If you are foolish enough to read the comments posted online on any of the news stories about Mayor Barry, you’d think she was the equivalent of the worse mass murderer in history. As a society, we seem to have become unable to separate the person from the action in the same manner that we can’t argue policy without attacking people who hold an opposing view. Megan Barry is still a good friend to many people. She and her husband have a complex relationship, like most of us. In her life, she has done a tremendous amount of good and like all of us, some bad. You can think she should resign due to her personal decisions and still recognize her humanity. The disapproval of her actions is not a license to dehumanize her. Dehumanize her and by extension, I would argue, we lose some of our own humanity. I guess what I’m saying is let’s try to separate actions from people. Mayor Barry may need to resign, but not because she is a vile, disgusting person, but rather because she made some very poor decisions that violated the public trust. By the same token, the people who disagree with you are not despicable, self-centered human beings, just people who hold a different opinion. It’s a subtle nuance, but I think an important one if we are to hold on to our own humanity. Back in 1965, Congress created Title I funding under the Elementary and Secondary Education Act in order to try to create equity between poor and wealthy schools. In 1994, the policy was rewritten to further help at-risk students. Nationally, schools receive over $14 billion to improve educational outcomes for at-risk students. A school’s qualification for Title I funding is based on its number of low-income students. That number is determined by those students whose families receive direct services. In order to qualify federally as a Title I school, a school must have over 40% of its students receiving direct services. 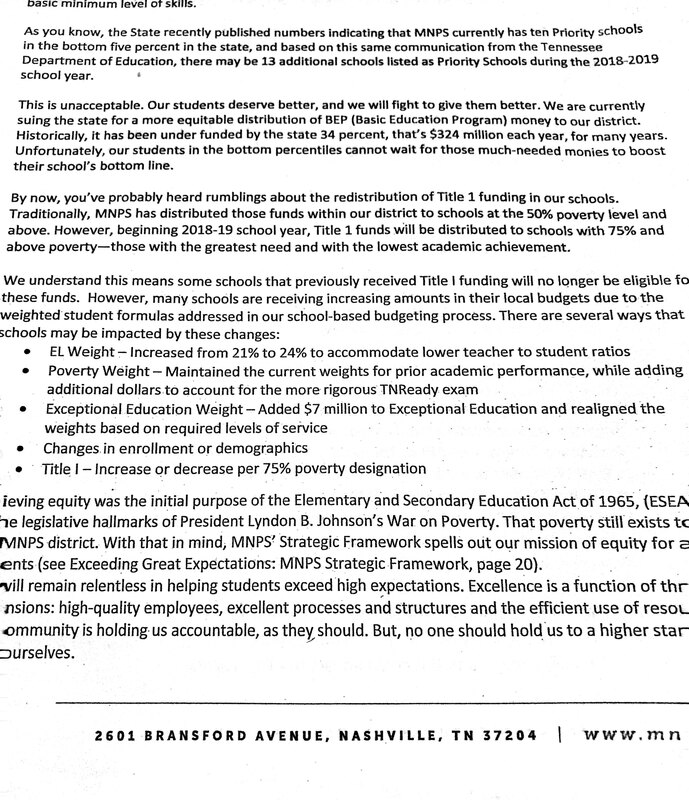 Traditionally, MNPS has delivered funds to schools at the poverty level of 50% and above. A couple of things to keep in mind here. Undocumented students don’t receive direct services, so they don’t count in a school’s official poverty numbers. Yet they must still be educated. Refugee students also don’t receive direct services. Schools depend upon Title I money to provide services and to hire additional teachers. The Federal government distributes the funds to the state, who then disperses the money to the local school districts. The school districts deliver the funds to the individual schools based on a plan developed locally but approved by the state. Local districts have the opportunity to change the distribution formula every year. In 2016, the formula for MNPS’s dispersal of funds was roughly $600 per student, multiplied by their percentage of students eligible, times the number of students. So if a school had 60% of its 700 kids eligible, they would receive $360 per student for 420 students, for a total of $151,200 for the year. It may not sound like a whole lot of money, but that’s about enough for 3 teachers. That makes a difference. For the 2017-2018 school year, Dr. Joseph changed the distribution formula. Every school with over 55% of its students eligible got a flat $485 per student. That means the same school referenced above received $203,700. So that school benefited from the change in the distribution formula. What about a school with a higher poverty level, say 80% and 900 students? In 2016 that school received $345,600 and this year they received $349,200, a difference of $3,600. Not much of a difference. An argument could be made that the change did make things more equitable. Yesterday at a meeting to discuss next year’s school-based budgets, it was revealed to principals that the distribution formula was changing again. Per a sheet delivered to principals, beginning in the 2018-2019 school year, Title I funds will be distributed only to schools with a 75% and above poverty level. My kids’ school, Tusculum ES, is at 64% poverty. Which, based on the distributed sheet, means they would not be eligible for Title I money. Loss of that money could translate into a loss of teaching positions or essential programs. Needless to say, this shift in policy evoked some, shall we say, emotional responses. But… hold on. There are some caveats. Later, after everybody’s heads exploded, it was revealed that there was a formula, the Title I Poverty Measure, that would be used so that those schools with large populations of undocumented students wouldn’t be hurt. That formula is the number of students who are “direct certified” (DC) for federal assistance x 1.6, which is a non-negotiable federally determined multiplier. Applying the formula should give you the percentage of economically disadvantaged students. To make the math easy, let’s take a school of a 1000 with 470 students who are DC. The school would have a poverty rate of 75.2 and should be eligible for services. But… based on that previous 50% threshold, they wouldn’t have been eligible this year. If you apply the Title I Poverty Measure, nobody previously eligible should lose funding. But… Hillsboro High School, Overton, and 47 other schools were given indications that they would lose their Title I funding. But… schools were told that no school would lose over 4% of their school-based budget because of the added weights for local poverty numbers, EL students, Exceptional Ed, etc. But… principals don’t receive their actual budget numbers until Monday. I know, that’s a lot of buts. So if you run into a principal this week and they look especially wane and drawn, you now know why. You often hear leaders postulate about how hard it is to bring change to an organization. It can be, but you can also make it more difficult on yourself when you don’t deliver information to people in a concise, timely, and easily decipherable manner. You don’t drop the negatives on people and then wait 4 days to give the actual whole picture. If you don’t provide a narrative for people, they will create their own narrative and it will invariably be a negative one. I don’t know if this distribution formula is a more equitable one or not, and neither do most principals. There is no way of knowing until principals see their actual school-based budgets. But I do know that once again, district leadership has created turmoil where it was not necessary. Let’s see what next week brings. I urge you to talk to your principals this week. Find out how the changed method of Title I distribution will affect your school, and then make plans to speak at the school board meeting on the 13th of March. This week, most grades 2-8 completed MAP testing. If you are not familiar with MAP, it is a nationally-normed test that was added this year and can potentially be very useful. MAP is set up to given 3 times a year – fall, winter, and spring. That said, two of our testing periods occur in the fall semester. We’ve moved the test given last year in May up to February, because last year we saw a drop in scores that feasibly could be attributed to test fatigue, and it falls in the winter session. That’s not a huge issue because NWEA is moving towards norming based on weeks between test administration. They are not fully there yet, but close enough that accurate results can still be calculated, albeit with a small margin of error. But don’t give up on that spring testing yet. There is still a MAP session available in May, since some schools require the May results to comply with federal and state grant mandates. The district is making the testing available to schools, but not encouraging an additional test administration. If a school does choose to take the MAP in May, the higher growth scores of the last two test administrations (February or May) will be used. There is no additional cost if a school chooses to administer the May MAP test since it’s a per student cost, regardless of how often it is administered. The cost is paid by the district. Why would a principal not schedule a May MAP test, knowing the stock placed in results and that it is a no-risk proposition? Isn’t a bit much to ask kids to take MAP in February, a climate survey in March, WIDA for the EL kids in March, TNReady in April, and then another MAP test in May? If a school does not take a MAP test in May and just utilizes the February results, are they not sending a message that learning ends for the school year at the end of January? No offense to Mr. Changas and his exceptional team, but how is throwing out the lowest score if a school elects to administer both a February and a May test not gaming the system? I am not anti-MAP testing. I’ve spent a great deal of time learning about it over the last month, and I am extremely grateful to those who have helped me gain a better understanding. If it is used as a formative assessment – administered for kids, not to kids – it can drive instruction at a heightened level. But if it’s going to be used as an accountability tool, or if it is overused, then a lot of those benefits are going to be lost. 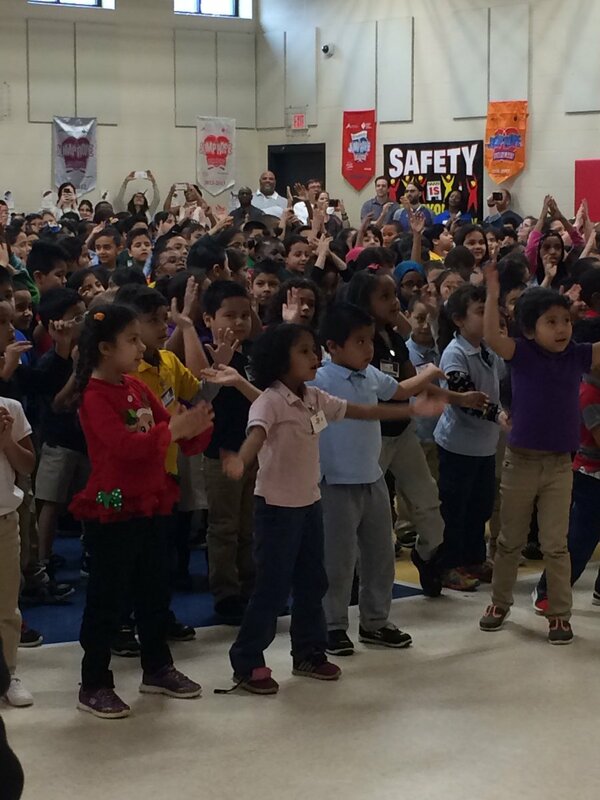 I must say I had a great morning at Glenview ES participating in Book’em’s Read To Me Day. Celebrities, politicians, judges, and the Nashville Predators mascot Gnash all read to different classes. I was fortunate to read to a group of attentive 4th graders who made me feel extremely welcome. It was great to see everybody so excited about reading, and I promised to come back for their next ProjectLit book club meeting. Kudos to Book’em’s Executive Director Melissa Spradlin for organizing a phenomenal event. Spradlin says she just hopes the photos make people smile and the event gets more people involved with our students. Williamson County showed this week that they are not immune to crazy stories. School Superintendent Mike Looney was arrested on Wednesday and charged with simple assault in relation to an incident at a local school involving a student, the student’s mother, and local police. I admit that I can’t even begin to understand the story because it doesn’t jibe with my experiences with a man whose company I have thoroughly enjoyed over the years. He seems to have support of WCS board members and hopefully things will get some more clarity soon. Your TMZ moment of the day says that a certain leadership fellow has been sniffing around a superintendent job in the Las Vegas area. Can’t confirm but we’ll keep watch. You might remember a time when schools were staffed by a veritable Avengers roster of teachers– each with her own special power, special field of expertise, special style. It was, in fact, one of the most effective ways to provide school choice– by having a wide variety of teachers under one roof, so that students could find a good fit without having to leave their friends or their neighborhood schools behind. Are you or someone you know looking for a prom dress? Come down to Minerva’s Closet on Saturday, March 3. Minerva’s Closet is a boutique of free new or gently worn prom dresses and accessories for students. 2018-2019 Selection Day Results are in. If you participated in the choice program, you can view your results. In the interest of giving credit where credit is due, it seems that the Community Supes and the EDDSI’s are starting to mesh into a nice unit. I’m hearing more and more compliments every month. Principals are praising the support they are getting. So a tip of the hat to the team. Don’t think that I didn’t notice that there was supposed to be an evaluation of Dr. Joseph completed in January, but for the third time in a row, the deadline was missed. Oh well, there is always June. What does everyone in the modern world need to know? Renowned psychologist Jordan B. Peterson’s answer to this most difficult of questions uniquely combines the hard-won truths of ancient tradition with the stunning revelations of cutting-edge scientific research. Check out 12 Rules for Life: An Anecdote to Chaos. Triplicate is the new three-disc studio album from Bob Dylan. The collection features 30 brand new recordings of classic American tunes and marks the first triple-length set of the artist’s illustrious career. With each disc individually titled and presented in a thematically arranged 10-song sequence, Triplicate showcases Dylan’s unique and much-lauded talents as a vocalist, arranger, and bandleader on 30 compositions by some of music’s most lauded and influential songwriters. The Jack Frost-produced album is the 38th studio set from Bob Dylan and marks the first new music from the artist since Fallen Angels, which was released in early 2016. Let’s get to our poll questions. It’s now officially budget season. How do you think it’s going to go this year? More school districts in Colorado are switching to a 4-day school week. Should Tennessee emulate? With school board races coming up, I’d like to know what you think the discussion should be focused on. That’s it for now. If you need to contact me, you can do so at Norinrad10@yahoo.com. I try to promote as many of the things sent to me as possible, but I do apologize if I fall short. I have started using Patreon. If you think what I do has monetary value, you can go there and make a donation/pledge. Trust me, I know I ain’t going to get rich, but at the end of the day I’m just a Dad trying to get by. Check out the Dad Gone Wild Facebook page as well. I need you to like that Facebook page. Previous WILL ENOUGH EVER BE ENOUGH? Several schools are also having to give pilot tests for TNReady so you can add that to the list of non-stop testing. 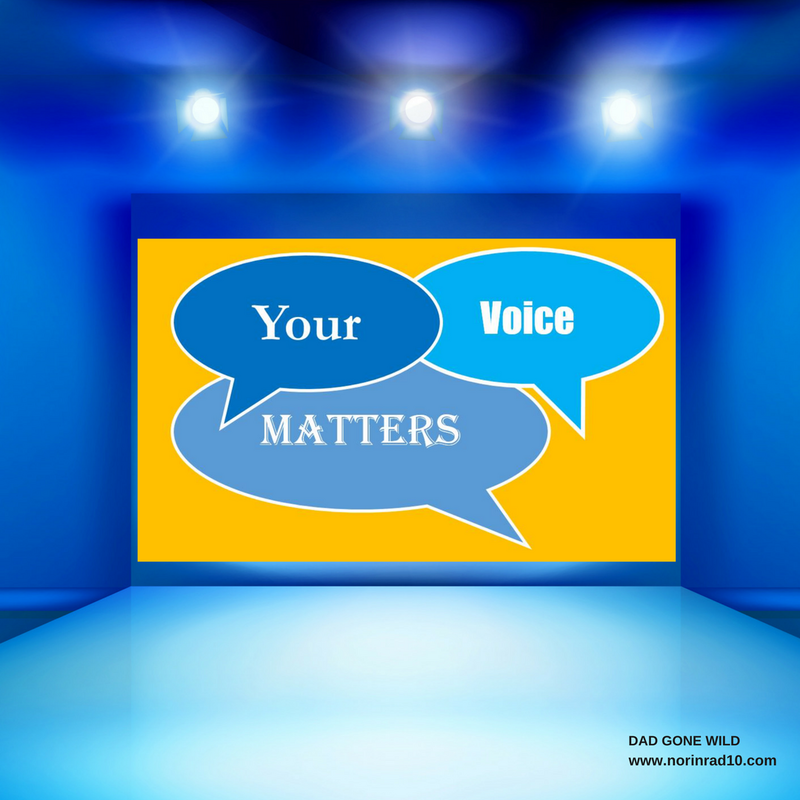 Random response…what do teachers think of Restorative Justice? From what I can see, it means No Consequence. I think the MAP tests are pretty horrific… this connects to a blog that discusses the Scrap the MAP movement of a few years ago and in turn may put you into contact with some Ed Activists that managed to get that out of Seattle schools. REFUSE the tests…..ALL of them! They are willing to cry poor and to come up with a different way to distribute the Title I funds, but will pay millions to testing companies that just want to data mine children? You should start to see the money trail and how it flows. If you get a letter in the mail rating/ranking your child to other area children or nationally, your child’s data is being used for nefarious purposes and the rating/ranking is the “carrot” that keeps you (as a parent) complacent and complicit. Setting up competition with children’s lives is abhorrent behavior and that is all that the testing companies are doing. I have a question you might know the answer to—if I know my school is on the “may be renovated” list, who do I contact to make my voice heard to advocate? Our population is largely ELL and high poverty. I fear we will not be renovated because our parents won’t be the loudest compared to other Metro schools. My classroom was constructed in the 1950’s. An entire wall of my classroom is asbestos. We have a boiler system that I and students have burned themselves on in the past, and we continue to have lead in our water a full year after the tests. We need a renovation BADLY! Who is involved in making these decisions? Who can I contact as a teacher to make my voice heard? I would contact David Profit to find out status of renovations and than advocate through your school board member. Having been through the process, I understand the frustrations. So let me know if I can help.